Shrimp in French is very convenient in cooking, and most importantly, it is very tasty. For these reasons, julienne in French is a recipe that is relevant for any holiday feast. Step1 - Peel and finely chop the onion sprinkle with curry and fry in hot oil and put the peeled shrimps sprinkled with lemon juice and mix it. Step3 - Mix the shrimps with the sauce and arrange in cocottes or pots, sprinkle with grated cheese on top and bake for 5 minutes. 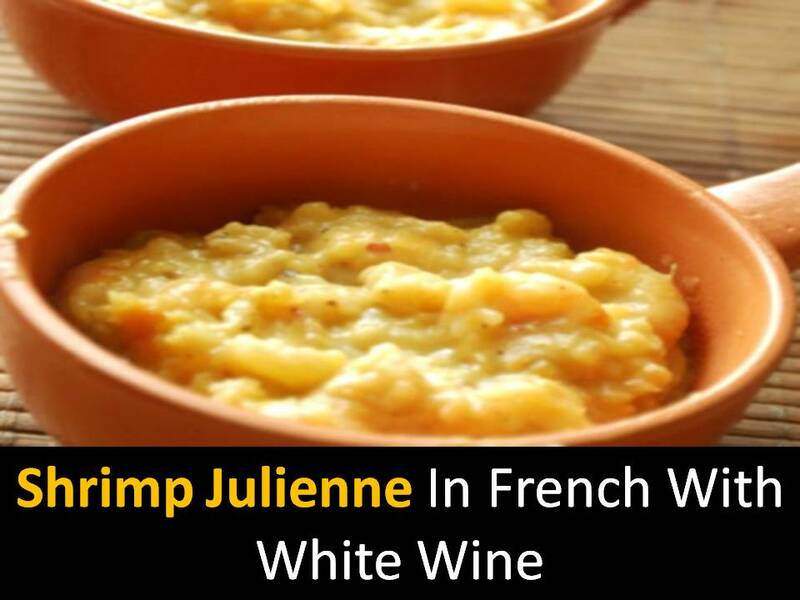 French shrimp julienne in coconuts served with white wine.